Ahmed Autos & Workshop deals in auto spare parts for civil and military vehicles. 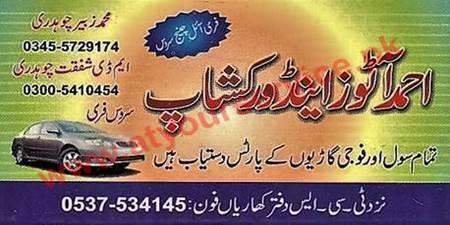 Ahmed Autos & Workshop is located on GT Road, Kharian. It deals in auto spare parts for civil and military vehicles.